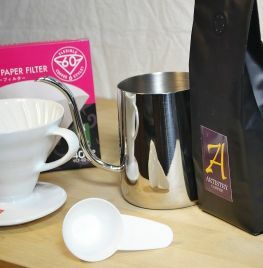 The Pour-Over Starter Kit has everything you need to get going on brewing your first filter cofffee! 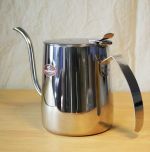 Kit includes a Ceramic V60 02 Dripper, a Tiamo drip kettle (note: now with lid too) for pouring accuracy, filters and of course some speciality coffee to get started. Perfect for a 'New to coffee' friend or maybe just a kit to have at home. We are sure you can find people to buy this for!